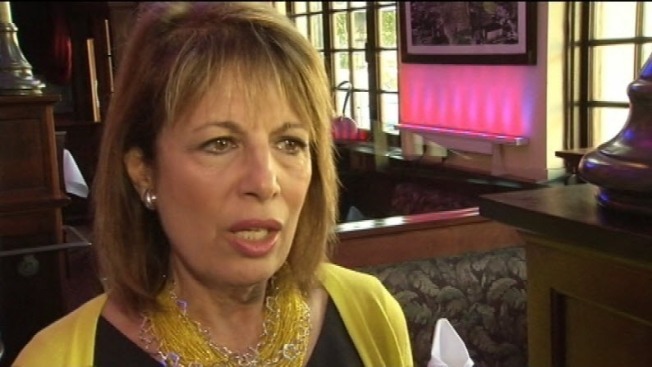 Rep. Jackie Speier, D-Hillsborough, made a powerful plea for gun control on Sunday, holding a sit-in at a church in San Mateo. Dozens of people joined Speier at Unitarian Universalists Church, calling on Congress to vote on universal background checks and a ban on terrorists from buying guns. "To make a point, that you should be able to go to a church, you should be able to go to a movie theater, you should be able to go to school, you should be able to go to a dance club without fearing for your life," Speier said. Organizers specifically chose to do the sit-in at a church in honor of the victims killed in a church shooting in Charleston, South Carolina, last year.